G-Force highly reccomends that you add one layer of underwear to any suit to provide tha last line of defence in case of a fire. 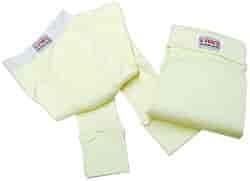 G-Force manufactures their Nomex firesuit underwear from the highest quality products so that the soft knit is hypoallergenic and comfortable on the skin. These underwear are SFI 3.3 Rated.